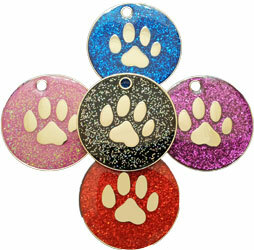 These are our best selling dog tags, the glitter finish reflects light both during the day and at night, with an added hard wearing surface they really are spectacular! 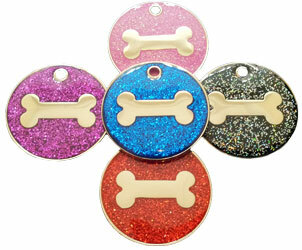 Glitter dog tags are what every pet wants to be wearing this summer! !